Murder is the severest form of censorship and a brave Pakistani journalist has just offered proof with his life. 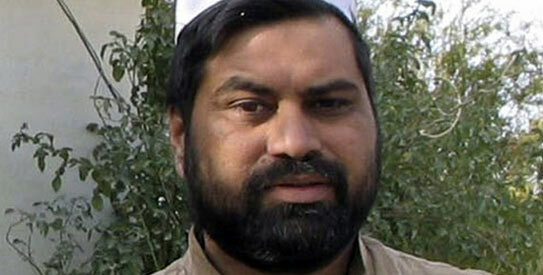 Syed Saleem Shahzad has joined the unacceptably long list of over 70 journalists who have been killed in the line of duty in Pakistan since 2000. How has Pakistan become the most dangerous country to practice journalism? Fundamentalism, extremism and militancy have brutalised Pakistani society since proxies that Pakistan has nurtured for two decades took on America in Afghanistan in the early part of the last decade. As the conflict between the US and al Qaeda spilled over from Afghanistan into Pakistan, the need for reporting it grew enormously as did the attendant risks of doing so. As fate would have it, the evolution of Pakistan’s independent broadcast media coincided with the rise of terrorism in the country as did the expansion of the al Qaeda-US fight and the co-option of Pakistan-based militants into this battle. And as the state of Pakistan allied itself optically with the US in the war on terrorism, it marked out the military, civil society and the media as enemies of al Qaeda and its fighting forces in Pakistan represented by the Tehrik-i-Taliban Pakistan (TTP). The violence that has engulfed Pakistan for the last decade did not leave the media immune to its consequences. While there have been journalists who have been killed in bomb blasts in markets, processions and funerals across the country, caught in the wrong place and wrong time, the last three years have seen a rise against target killings of journalists in Pakistan. At least 17 have been killed this way. The number of journalists who were target-killed grew sharply after the media stopped self-censoring themselves too much in the wake of the footage of a girl being flogged by the Taliban in Swat, which proved a turning point in the media losing its fear of the Taliban. This was the beginning of a more unrestrained narrative on terrorism which injected grim realism in reporting. The consequence of the media finding that the public was receptive to this kind of reporting promoted a culture of risk taking which first generated warnings from the Taliban to the media to “behave”. When there was no major change in the behavior and attitude of the media, the killings began. From the tribal areas in the mountainous northwest to the coastal areas in the sandy southeast, Pakistani journalists have been hounded and killed for reporting the brutalities of a war that has claimed the lives of over 30,000 in Pakistan over the last 10 years. While over 70 have been killed, a staggering 2,000-plus have been injured, arrested or kidnapped – a large number of them by the military regime of General Pervez Musharraf. But while the militants had been hounding and hurting the journalists since 2002, the “Musharraf treatment” added a new dimension to the policy of intolerance for media openness and pluralisms. In one single instance nearly 120 journalists were arrested in Karachi in one fell swoop and in another single incident about 140 in Islamabad by Musharraf’s thugs. It is this state sanction for this kind of intolerance of media independence that has now allowed the level of impunity where many journalists have been killed with the suspicion for most falling on the security establishment. The fact that the killers of not even one Pakistani journalist killed has been found, prosecuted and punished has meant the media has been an easy target. Saleem’s death is not ordinary even among the long list of journalists killed in Pakistan in recent years. Because his last news story attempted to establish that the security establishment had been in talks with al Qaeda to negotiate a deal that would prevent attacks on it, it is reasonable to assume that this claim was linked with his kidnap, torture and murder. He had told a friend a day after the report was published that this was just the tip of the proverbial iceberg and that he would be filing a couple of major stories that would rattle many. Whether it was the security establishment that killed him or the declared terrorists, the fact is he was killed for daring to attempt to share information that affected the country and its people. The only valid censorship of ideas is the right of people not to listen, not murder. Saleem’s death signals that dirty secrets will not easily be allowed to be shared with the people of Pakistan. He, as well as the others in the long list of Pakistan’s brave journalists who have given their lives in the pursuit of being the guardians of public interest, deserves our lasting gratitude for being the watchdog of our interests. They were purveyors of light in a land where the shadows grow long. May they rest in eternal peace. May there not be another Pakistani journalist who in the pursuit of news becomes a news item himself. Previous Previous post: Sleeping Late Could Be The Reason You Are Putting On Weight! Next Next post: It’s Cool…It’s Sizzling…It’s White!